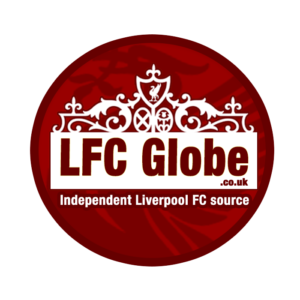 We round up all of the latest Liverpool FC headlines and transfer rumours in our Tuesday morning LFC news bulletin. Manchester City convincingly beat Wolves on Monday night after the onus was on Pep Guardiola’s side after Liverpool’s win over Brighton. City had scored 16 goals in two fixtures against lower league opposition since their confidence-boosting win over Liverpool earlier this month and it was more of the same at the Etihad. Gabriel Jesus opened the scoring in the 10th minute, before Wolves defender Willy Boly was shown a red card for a dangerous challenge on Bernardo Silva. Jesus converted a penalty five minutes before the break, whilst a Conor Coady own goal in the latter stages secured a 3-0 win for the home side. City kept the gap at the top to just four points, with Liverpool having extended it to seven on Saturday. Next up for Guardiola’s side is a trip to Huddersfield on Sunday. Liverpool have the chance to once again temporarily extend their lead with a home game against Crystal Palace on Saturday. Liverpool in for Dutch winger? Liverpool are interested in signing winger Arnaut Danjuma Groeneveld from Club Brugge, according to the Mail Online. The report claims Jurgen Klopp is interested in the 21-year-old, who is one of the brightest talents emerging in Belgium’s top division. Whilst Liverpool have a number of options in the squad, their attack is heavily reliant on the fitness of Mohamed Salah, Roberto Firmino and Sadio Mane. A move for the Netherlands international could help bolster attacking options with the Reds amidst a title challenge, whilst he would provide some healthy competition to Mane. AC Milan have reportedly had a £9 million bid rejected by Brugge this window, whilst Liverpool will also face competition from Tottenham and Everton. Jurgen Klopp spoke on how beneficial it is to have a break at the end of January, with players looking to get back from injury. The Reds have Dejan Lovren, Joe Gomez and Adam Lallana out injured, whilst Joel Matip was on the substitutes bench against Brighton, having recovered from a broken collarbone. Lallana, who Klopp recently claimed was “in the best shape” of his career, missed the Reds’ FA Cup trip to Molineux due to a muscle injury. And it appears the midfielder is facing another spell on the sidelines, with Klopp suggesting he may be missing till February. “The break that we are getting at the end of January is going to be 100 per cent helpful for the boys with injuries,” he said. “I hope that Dejan [Lovren] and Joe [Gomez] make big steps to come forward. Klopp is set to take his squad to Dubai after the Reds’ meeting with Crystal Palace at Anfield this weekend. Ki-Jana Hoever was given a red card during Liverpool U23s’ 1-1 draw versus Brighton in the Premier League 2 on Monday evening. Rafa Camacho put Neil Critchley’s side ahead in the 12th minute, finding the bottom corner with a well-hit strike. The young Reds looked to be easing their way to a 1-0 win, however an 86th minute header from an unmarked Haydn Roberts saw the visitors earn a late point.